I love cooking but I don’t want to spend all morning or afternoon in the kitchen. I want to enjoy some family time with my husband and kids. So I am always looking for healthy and fast recipes. 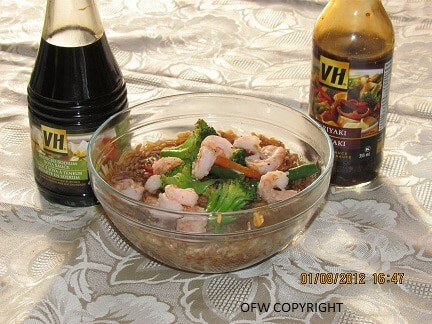 Few years ago, I discovered this great Healthy mixed fried rice from VH Sauces. 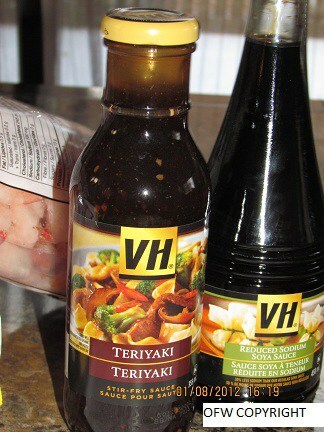 I use VH sauces on a regular basis as I find them tasty and the kids love their flavors. 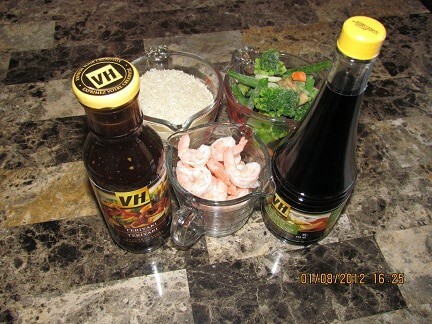 This recipe includes vegetables, rice, proteins and of course VH sauce. I changed the recipe a bit to make it own. Since I was running of sauce, vegetables, I had to go and buy some. You can see all my shop opportunity experience at Walmart in this Google+ album! . There are more than 40 photos that you can enjoy. 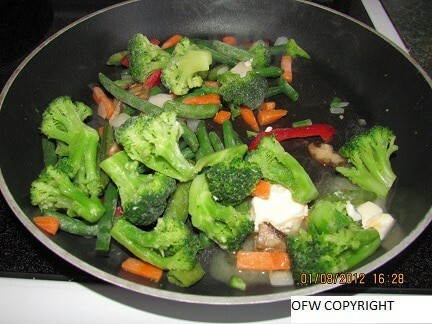 Spray large non stick skillet with cooking spray or margarine. Heat for few minutes and add the garlic and the frozen shrimps. 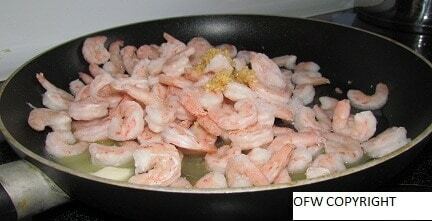 I usually put the shrimps directly on the skillet without thawing them. Cook until shrimps get tender and strain. In another skillet, add margarine or cooking spray. Heat for few minutes and then add the frozen vegetables. You can add fresh vegetables too. Cook until vegetables are tender. Cook the rice: For 1 cup of rice, use 2 cups 1/2 of water and a pinch of salt, margarine. Cook for 10 mn and then strain. 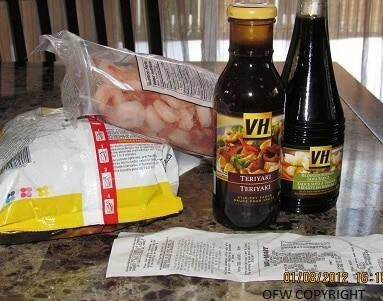 In a cup, add the VH sauces, 2 oz of water and the starch. I usually put the prepared ingredients (below) in separate bowls. 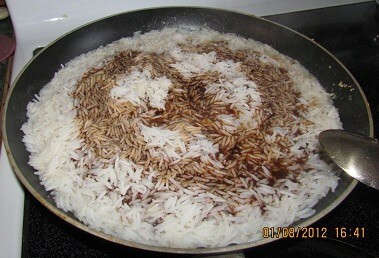 Add the rice to one of the skillet and drizzle sauce over it. I do not mix rice and vegetables. The kids want to eat them separately. Mix and high heat. You can either mix everything in a bowl or eat each ingredient separately. Enjoy! Makes 4 to 6 servings. Cook time is 15 mn. Preparation is 5 to 10 minutes. Looks so yummy. 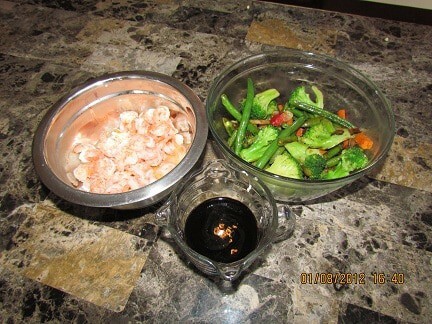 Wish my husband ate shrimp!! It is really good. You can replace the shrimps with chicken or beef, or pork. They are very good too.